MOSAIC: These arranged works of jagged little pieces are lovely to view in a fountain or work of art, so why not hang them from your ears as well? Check out these Stepping Stone earrings, small, beautiful mosaics made of turquoise and coral. A SUPER SPECIAL TREE: The plastic-y red and green ornaments you buy in the economy sized pack at costco are great, they really are, but every couple feet or so you need a special piece to make your tree your own. This blown glass white and gold swirl ornament is so gorgeous, santa may stick around for a few minutes just to admire it. 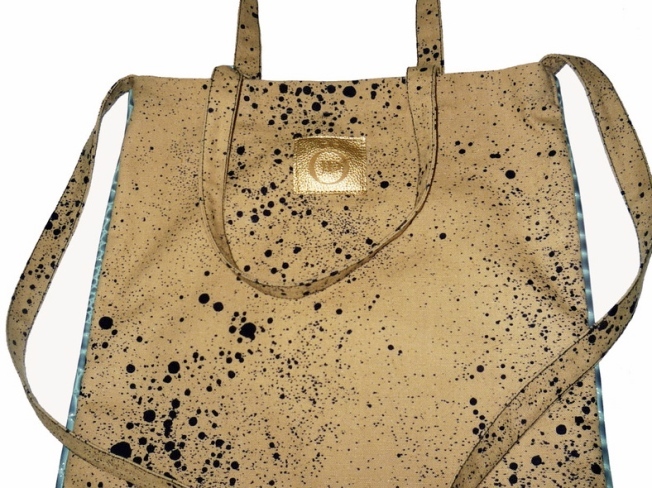 CANVAS UPGRADE: The Pacific Magazine Tote at Jen Darling Bags is just large enough and has the perfect shape to do the job of your favorite plain canvas number, yet its stylish print and leather piping bump it up a notch in the fashion books.